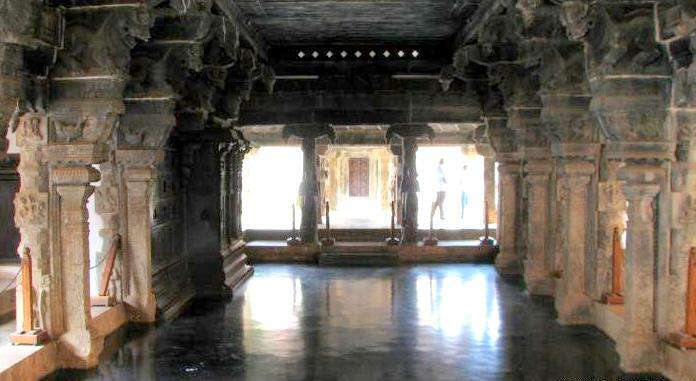 Through the illustration of the usage of oxide in making of floors and surfaces, this is an attempt to revisit the firmly rooted existence of this valuable building art. It is an elaboration on the uniqueness of a material which expresses through its end product a narrative of its locally crafted creation and the growth of a skill over centuries, which makes it exclusive for an informed pick in design practice. Oxide, as a raw material, has contributed significantly to the manifested choices of finishes for the built surfaces in architectural spaces. 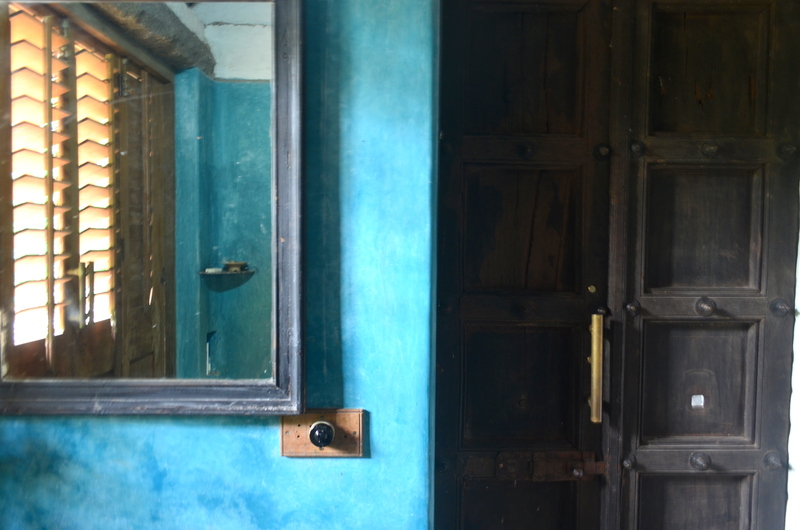 Its earthy, warm and tantalising texture has time immemorially instigated masses and not just practitioners, to reconnect with myriad associations of traditional charm and value of building craftsmanship. 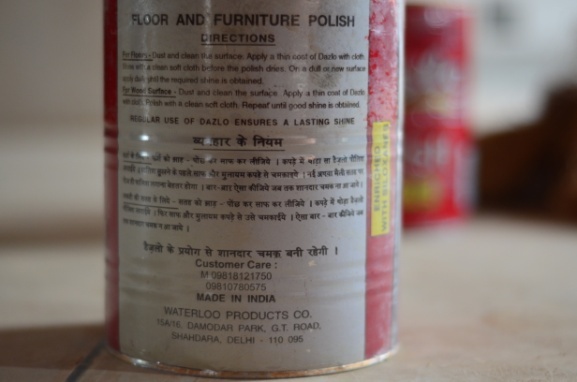 By being used as an agent in preparation of floors, walls and other surfaces in typical shades as cherry, crimson, ruby or scarlet, its practice has been polished and perfected to become a selective building process in concentrated parts of India like Kerala, coastal Karnataka and interior Tamil Nadu. A technique (in construction jargon), or a journey of transition of a rough virgin ground to a sincerely prepared, smooth and fine textured ground, the usage of oxide had originated a few decades back, in the seventies and was brought to India by Portuguese and Italians with their trade and merchandise errands, which propelled an exploration of a trend of self-created and customised floors in Kerala, executed with pure discipline and precision. The first of its kind was experimented in Pavaratty, a small village in Thrissur district in Kerala. 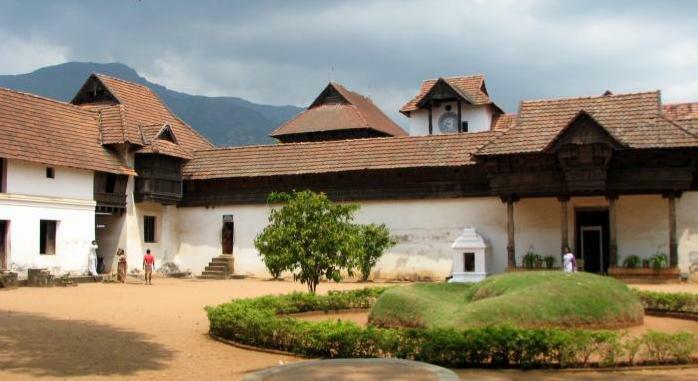 From that era of ingenious making, the classic example of traditional red and black oxide flooring is found in the 400-year-old Padmanabhapuram Palace in Thakkala, Tamil Nadu. One of the most creditable facets of oxide is the sheen that is accentuated over the course of time, making it sensationally tempting for one to experience an enhanced walk, barefoot. 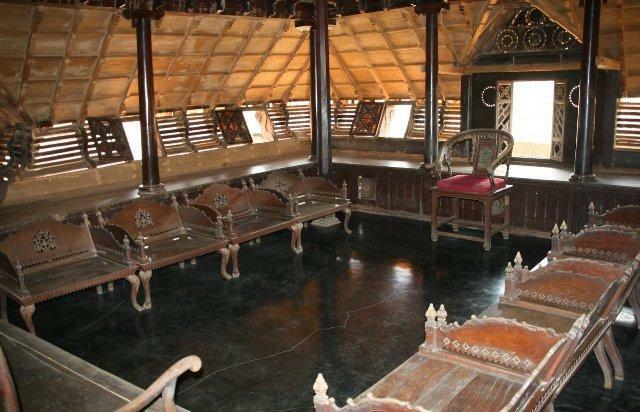 Modest in its appeal, ecologically conscious and economically affordable option of flooring, this type and style crossed geographical boundaries and made its way to various parts of India, with modifications in its making subjective to the location specific conditions. A supremely labour-intensive and skilled technique also demands a very fine and experienced attention to its application which conclusively avoids any blemishes and patches to appear in the long run. The hairline details in its preparation and well-coordinated, regulated stages of its laying tend to be overlooked, or in other cases skipped in current practices because of the retardation lag of its use since yester-days and the growing commercial impulses for industrialised materials in the present day. Within the realm of baubiologie (building biology), which values craftsmanship and environmental affiliations, oxide application reveals vast potential for exploration of various patterns, colours and imprints with the constant offer of unparalleled radiance. 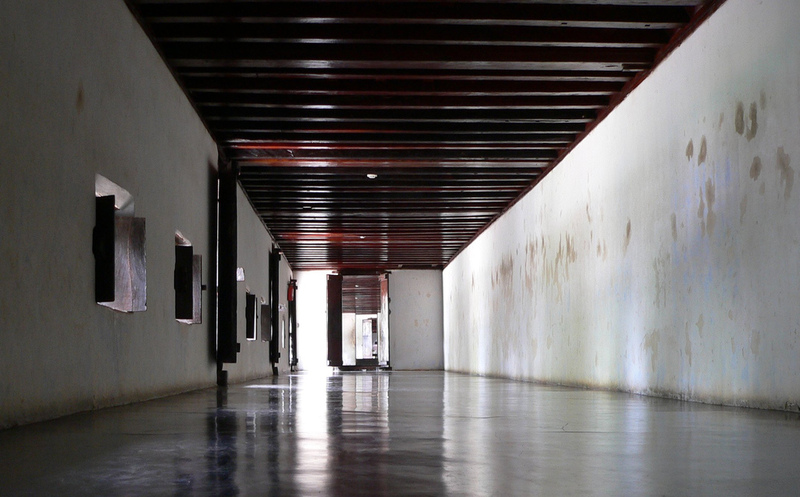 Oxide flooring after a dormant phase of existence for some parts of the last decades, has picked up momentum and more and more people and practices have initiated to make use of it diversely in interior spaces. 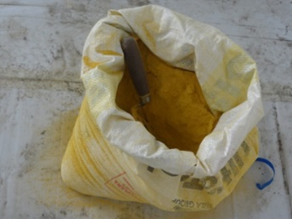 Oxide, a natural mineral, is found in powdered form much like the most commonly associated iron oxide which has a red hue (which offers 20-25 variants itself) and others which are available in black, blue, green, yellow colours etc. from other metal oxides. This non-flammable inorganic compound which emits no hazardous emissions can also be added with colour pigments (available with makes from TATA Pigments Limited, Golchha pigments et al.) to obtain a variety of interesting pastel shades that give design an opportunity to experiment with playful tints. Lumps of oxide mixtures can also take shape of defined tiles plained out by the understanding of refinement of texture. Towards the more articulated end of the oxide floors, are the the Chettinad-Athangudi tiles in the similar vocabulary, which use synthetic oxides, finely composed with cement, sand and baby jelly and moulded in various floral motifs, carpet like patterns and geometries. The ethnic tiles made from local soil and glass plates get the name from the place Athangudi in the Chettinad, Tamil Nadu. Oxide flooring is most commonly adopted for the preference of continuous (seamless) surfaces in varied hues of gleaming finishes. 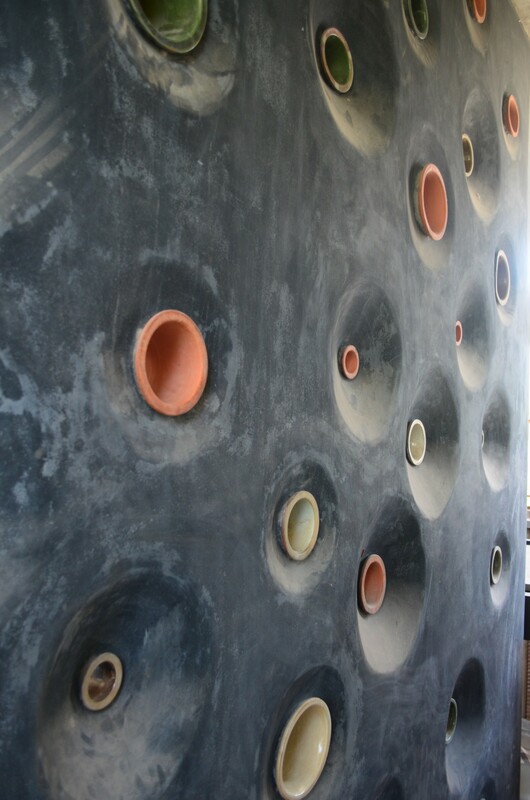 For this harmonious reason, oxide is also used on walls for clean, plain and glossy end product. Ledges, counters, shelves and surfaces alike are also finished in oxide by many architects who treat this material as a stylistic/characteristic language of their work. 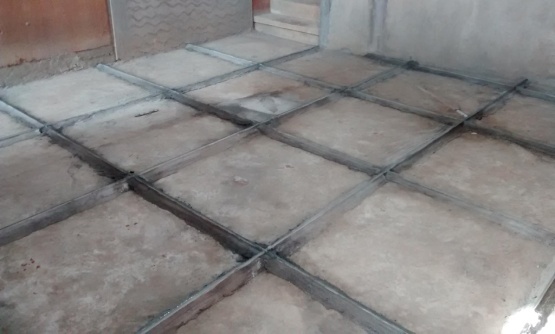 The spread of its use must ironically be accelerated owing to the cheap cost of these floors which is about Rs 80-Rs 90 per square feet and that of Athangudi tiles is Rs 100-150 per square feet. 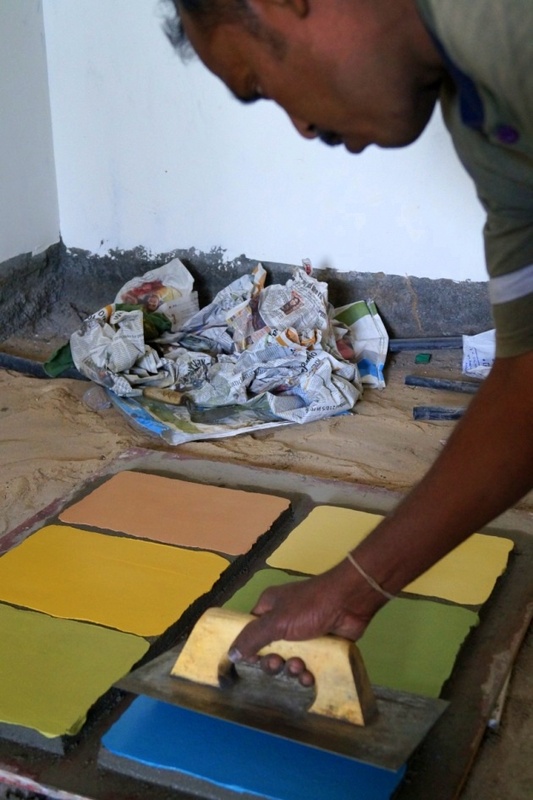 In many houses in Tamil Nadu, oxide is used on walls instead of paint, a decision also opted owing to economical factors. 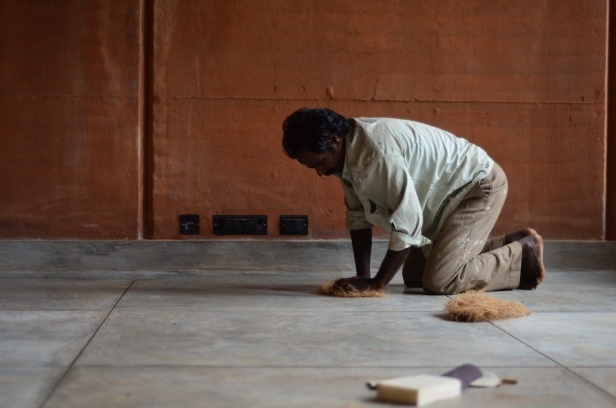 Many architects in Auroville, India have adopted oxide and established their teams of experts and trained masons who have the finesse of preparing crisp and sealed floorings within a day’s time. 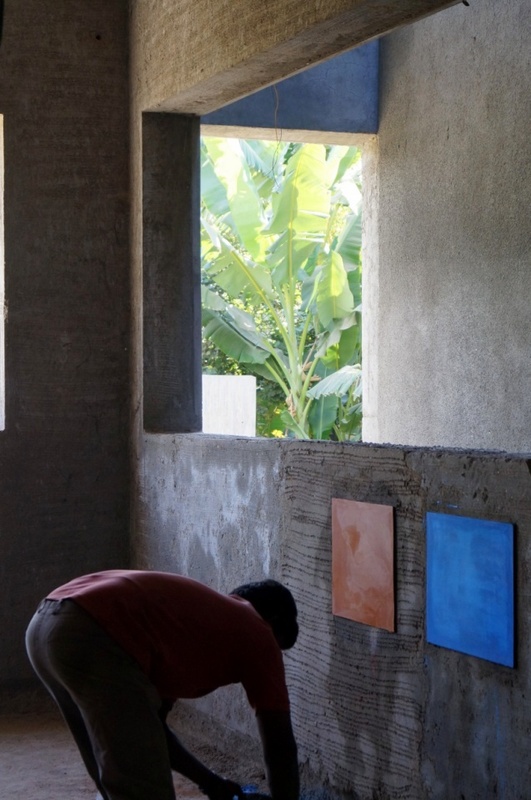 The various works – delineating the use of oxides – of Dustudio office, Auroville which has a large group of synchronised labourers, an intrinsic part of the office team who have learnt from experimenting with the principles of the studio and acquired a knack in such sustainable techniques. 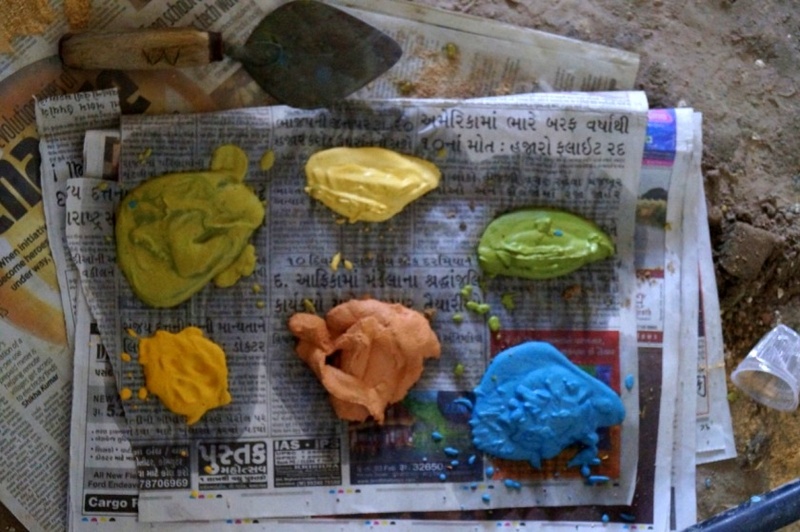 There are basic stages of meticulously laid layers to achieve a fine piece of oxide rich surface. 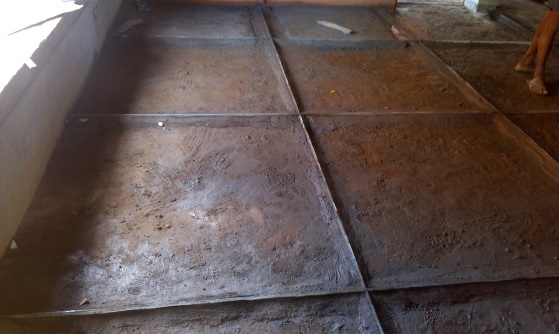 The foremost requirement to have a head start on the oxide flooring is to have a consolidated base bed. 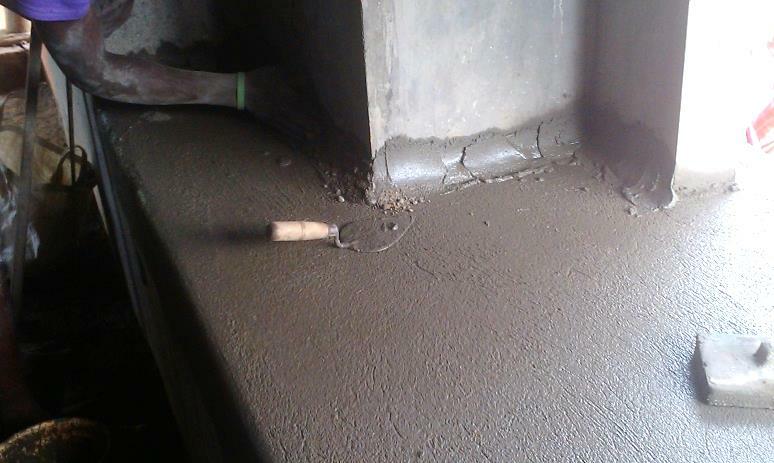 A concrete floor is the most appropriate surface which ensures a firm bonding with the oxide layer. Plain Cement Concrete (PCC) bed of the thickness 100-150mm is laid, which is a mix of aggregate, cement and sand in the ratio 1:2:4 with water in the required amount of workability. If the flooring already exists upon which the oxide is to be laid, the surface would need to be scrubbed and cleaned to remove any big particles of dusts or debris and get a plain, clear base. Post cleaning, flooring depth is referenced by putting dummy level dots of cement lumps at every 1 or 2 meters, for levelling to the required slope of flooring. If the design so demands, the floor is divided into various panels for laying the mixture. These divisions are mainly done for easy workability in batches of areas. These divisions also help to avoid the minor shrinkage cracks that appear on vast spans. According to the grid size for the design layout, the glass, aluminium or brass strips (30mm depth) are fixed in cement mortar with all their tops levelled according to the slope and allowed to set. After they are firmly embedded, one gets separate panels to begin laying cement mixture in. A cement and sand mix of 1:4 is then spread in these panels up to a height of 20mm with the quantity of water that makes the slurry be easily poured. 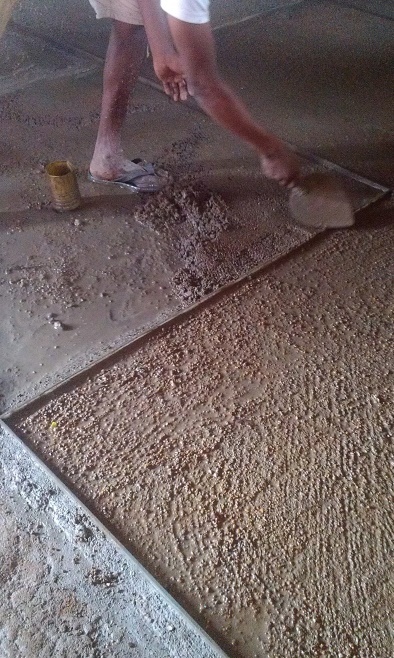 The surface is then levelled with a straight-edge trowel, called ‘karni’ after a second layer of the mix which is in thick lump consistency to be firmly applied and pressed. 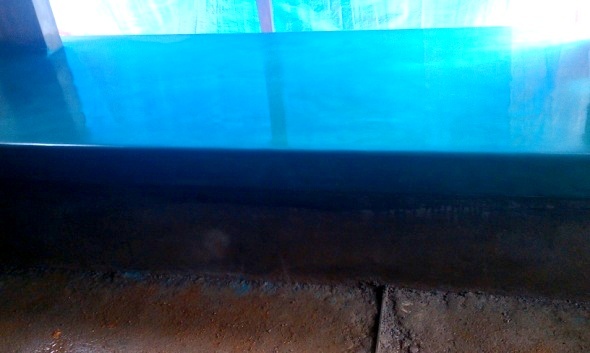 This layer gives the final floor level for the thin oxide layer to come on top. The edges of the panel strips are cleared with the electric rotary cutter to get sharp ends and clean depth of 2-3mm. Now, the dry oxide mixture is prepared manually by hand to get the desired fineness of composition, which is a particular requisite setting most of the oxide floors apart in their quality of exact shade. 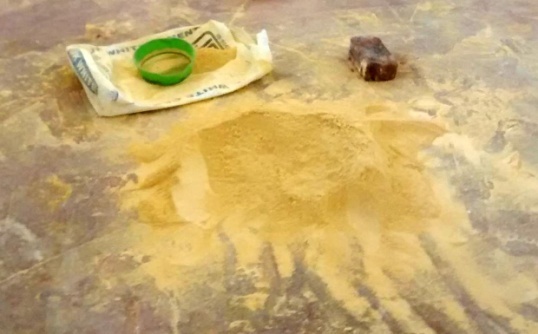 The composition is a mix of oxide powder, granules of which are crushed by hand to allow uniform mixing and prevent formation of lumps till one gets very fine powdered form. 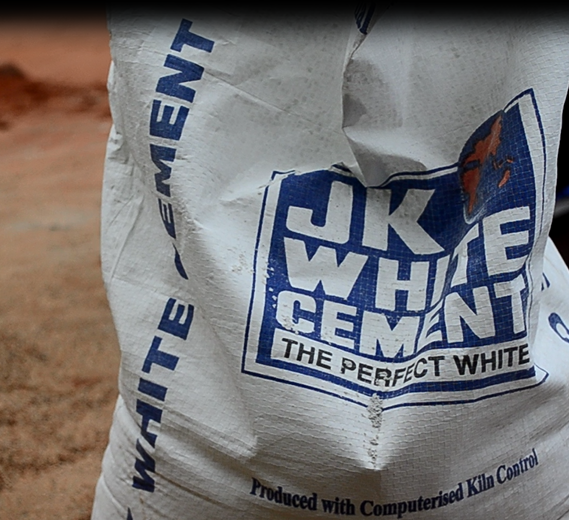 It is then mixed with white/grey cement depending upon which tone of the shade is needed (dark or bright) in the broad proportion 1:3 (3 parts of cement), with some variation up and down by the in situ estimation to arrive at the correct shade. One unit quantity of marble powder (or lime, which is a cheaper substitute) is added to this mix by running it through the sieving tray. Marble powder is used to give a stronger grip of the materials and also, to increase the volume of the overall quantity to save other materials, accounting for its relatively cheaper price. Adding lime also retards the setting process of the mix, helping one get a better blend without developing cracks because of the heat released from the quick chemical reaction of the constituents. This mixture is then ready to be mixed proportionately with water. The oxide composition prepared is added water to, to get a slurry-like mix which is poured above the cement base. 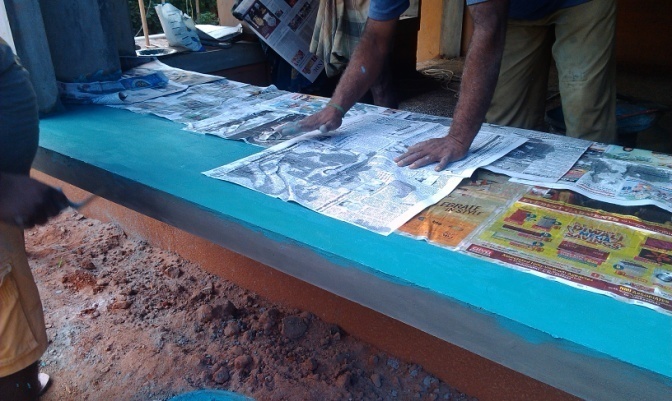 Oxide layer is applied in two stages; the second layer of the oxide has the quantity of water in proportion to keep the application thick to level it out with the help of a flat trowel. This is applied by the mason moving backwards, while the front part begins to dry up by spreading out sheets of newspaper to soak the moisture (as locally practised). Any lump formation in the mix will show up in the flooring. Trowelling is important to remove them, while the minor undulations vanish during the hand polish. Once this layer dries thoroughly, the floor space is filled with water upto one inch by cordoning off the premise and curing is done over a time of 24 hours for the reactive strength to be attained. After the surface gets dried properly, and in case the white patches show up on top, that area is wiped off with a cloth and cured again to dry out the residual mineral. Oxide floors must be done in one continuous stretch without break, often taking the whole day and night depending upon the area to be covered. The oxide floor surface is ready to be polished for a smooth and anti-acid stain finish. The surface is rubbed with 400 grade sand paper to smoothen and level the base for polish application. Wax based polish is mixed in 1 part to 2-3 drops of turpentine. This mix is applied with a soft cloth on the floor and scrubbed with rice husk or coconut pith in two layers in a circular fashion till the wax disappears and does not show visible seams and to cross it off from possible pores. 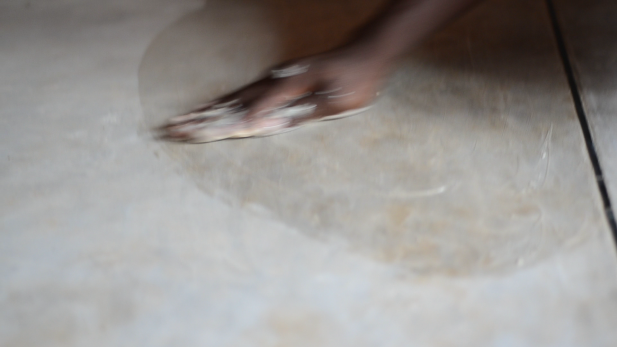 Egg-white, coconut oil and rice bran are also used by some practitioners in stone-scrubbing the floor. After the whole floor space is polished, the room is closed for 2-3 days so that the wax is absorbed fully and until floor achieves a radiant sheen. Oxide has an unparalleled merit for the experiential sense of touch of its surfaces and local attachments to its making, but there are innate pitfalls which are consciously accepted along, for a choice of this style. The type being a time-investing technique if not executed with proper expertise of skill, might in long run not show pleasant (preferable) results. These skills are mostly honed by practice over years and thus the labourers are trained and mentored with tried-and-tested recipes of proportions and mixes to master this flooring. Providing very crisp and subtle options of design schemes with low maintenance requirements of mopping the floor with few oil drops daily over a period of time of 1-2 weeks, the oxide surfaces attain a spectacular gloss to devour visually. With this basic albeit a very definitive recipe, oxide floors which have grown to be in the sphere of construction, a selective but conscious choice serve for the whim and taste of such richness. Thus, beyond being just a raw material, oxide has been an agent in manifesting design ingenuity owing to its refined quality, texture finesse and a myriad of possible varieties of appearance for articulating spatial architectural surfaces and faces. This legacy of traditional craft through its sparse practice has earned its masses of reverence and strong affiliation, making it an art whose imprints would never fade. 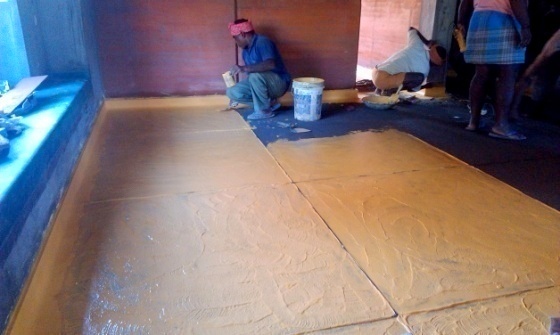 The construction images/videos of the oxide flooring in the article are from the architectural works by Dustudio, Auroville, which practices with an underlining philosophy of ‘fine blending of opposites‘ and aims to achieve a synthesis between the traditional ways of designing and building the living environments and contemporary ways of life. The videos have been recorded by a student of architecture, Gaurav Agrawal who interned with the office and the photographs are from the documentations of their sites, taken by the author who was also a trainee in the same office. 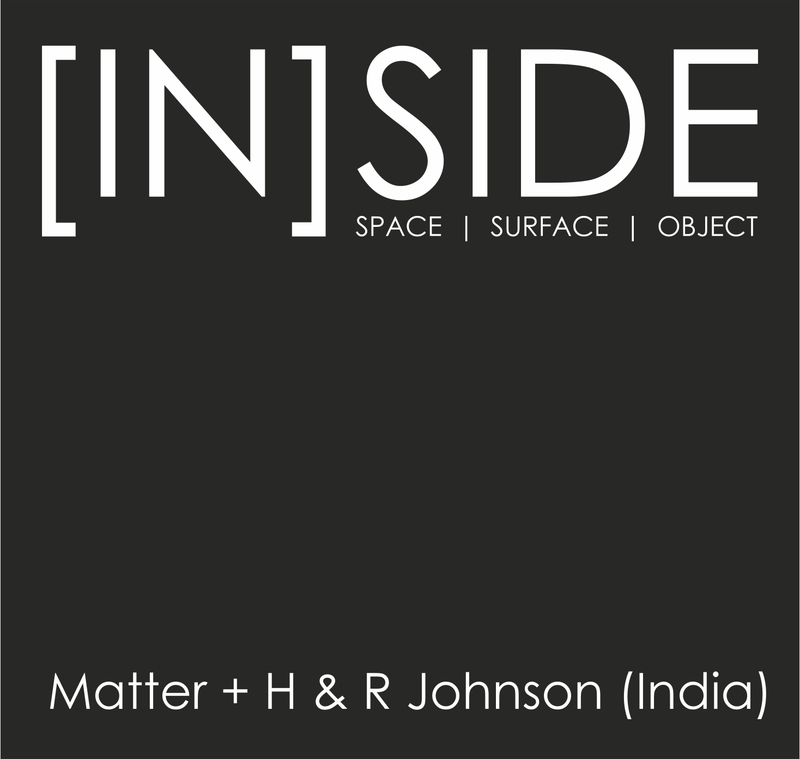 A brief clipping and a few images as credited depicting the pigmentation of oxide surfaces along the course of the article and the video are from one of Dustudio’s projects in Ahmedabad taken by Anusha Narayanan, Shreya Shah and Ruturaj Parikh. Thank you for crediting this work by your comment. The idea was purely to reach out to the masses who cherish such kind of material by the narration of personal inclination and the liking for it. You have rightly mentioned about the fact of PCC’s necessary ingredient being aggregate, which doesn’t show up in the video along with its mention. The part of the video aimed to show the base layer for a seating surface (of a podium) was made of a basic mix of cement and sand, whereas for the flooring of the building levels concrete mix is used. can this be used for exterior wall application??? Thank you Priya for your question. 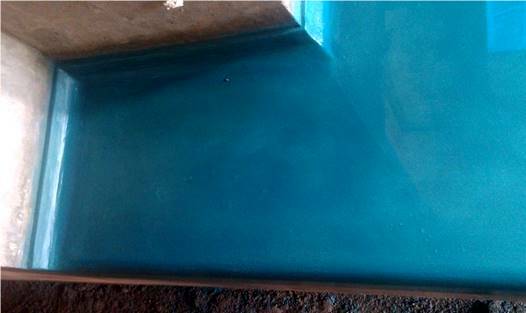 Yes, oxide can very well be used for exterior wall application as has been in a lot of cases in Ahmedabad, Kerela and other places where the technique is popular or preferred for a variety of reasons. Extending upon the concern of your question, the external use of the finish is highly vulnerable to exposure to the moisture content of the air which is repellent for the oxide surface. In such cases, despite much care and skillful application, the wall would develop fissures comparatively earlier than the interior walls. More answers and criticism is welcomed on the question as the author’s knowledge to the related query is subject to the limited experience of the learning of oxide uses. When you say fissures will develop, can u say like within how long it might appear ? Like say in a moderately cool city like Bangalore? Priya, the appearance of fissures is completely proportionate to the efficiency (/skill) with which the oxide is laid so one can not to my understanding, quote a period up till which you could expect them. However, as you mention the location of where it is to be practiced, the phenomenon of efflorescence has got a lot to do with the moisture content of the air and the direct sun exposure of the place. I have come across an example in composite climate of Delhi where oxide finish developed fissures within half a year (at first attempt with non-competent skills), so with much higher rate of rain and moderate sun exposure, you could gauge the probability of the occurrence. Do you know of any contact in pondicherry area who is experienced in laying type of flooring. 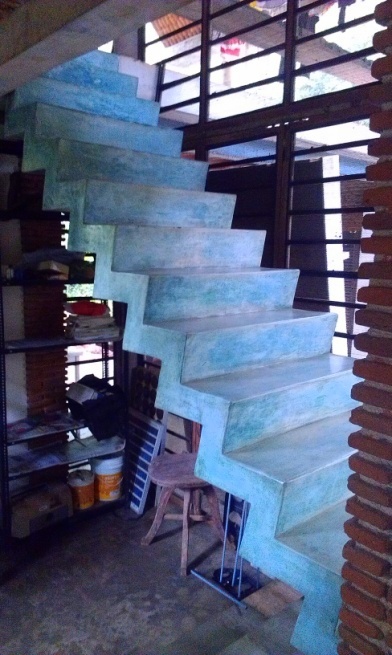 Auroville is a small township near Pondicherry, where a few architectural groups practice oxide flooring. Among experienced ones is the practice mentioned about in the article, Dustudio. 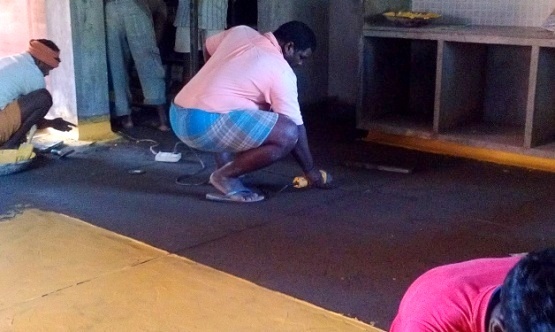 Hi, can you provide some contact in Chennai for laying red-oxide flooring? Hi, this article was meant to share the research behind the technique of using this art of flooring in architectural practice and study. My knowledge and the capacity to share is limited to the practices I have personally seen or read about. This discourse is not best intended for any networking. I hope you find some contacts through other experienced groups or circles of work. Thank you for archiving the disappearing skill. Hope people get back to challenging skills. What is the big challenge in pasting a machine made tile or machine cut granite slab as compared to oxide flooring ! Thanks for sharing your experience with oxide flooring. Well, the hairline cracks or fissures you mentioned about are mostly unavoidable with oxide floors. Yes, they are common. The core solution is good amount of curing but despite that these visible crack lines are a result of the capillary action of the water from the mixture of cement laid with oxide which can be controlled over practice with proportions. These cracks are not damaging to the floor but can be sheathed with wax polish and scrubbing it properly. The hairline cracks are the part of aesthetics which comes with the material, giving it a human touch; as you rightly said the cracks are not felt by touch and doesn’t effect the structure of the floor up to a limit. But if there are too many cracks it can be contained, by changing the proportion of elements in the mix of oxide powder; one of the many ways is to increase the proportion of marble powder in the mixture. Also by using the glass grouting to make smaller panels of oxide you can contain the incidental cracks in a smaller area. hi i am vijay i am constructing a house in coimbatore i am looking for alternate flooring , i am intrested in knowing more about it . i am near to singanallur. my mail id vgyadav@gmail.com. Hi Namita. As per our experience, there will be some residue that will come off the surface. Nonetheless, the curing time has to be longer than 2 days and the surface can be sand-papered before polishing and not when it is still being cured. 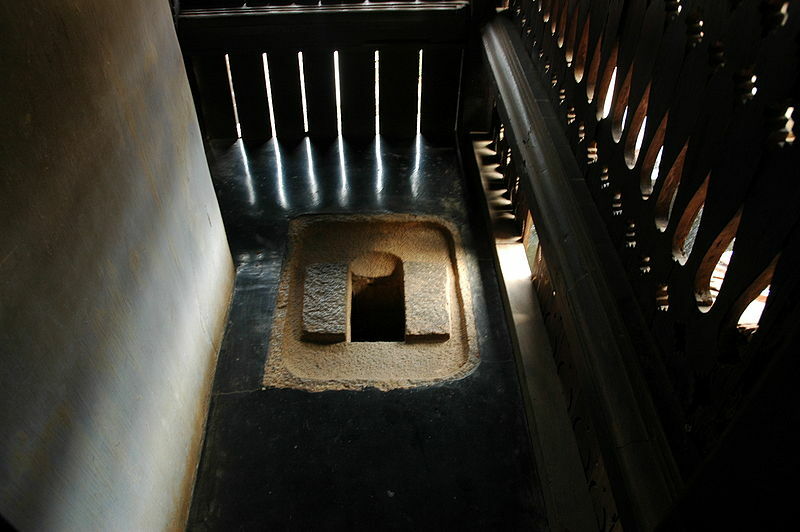 As per the recipe from the masons, the surface is flooded and a water-based sand-paper is used to smoothen the surface once it is completely cured. 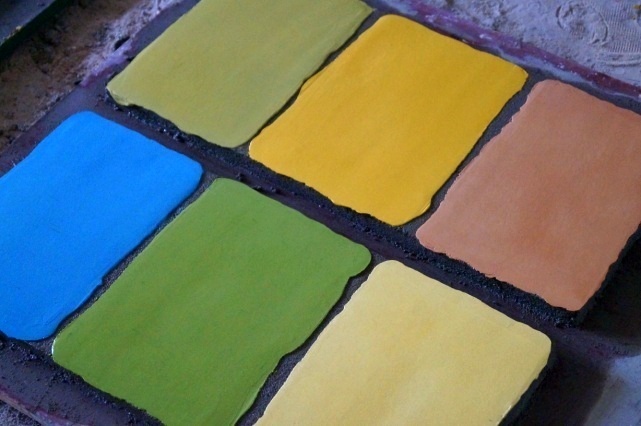 Your oxide colour layer must be about 2 – 4 mm on a cement substrate? Hey! Can not thank you enough for this beautiful and detailed article. We are trying out oxide flooring experiments ourselves and this information has been very useful. We also tried adding some amount of hydrated lime to various samples (hydrated lime, cement and oxide; hydrated lime and oxide; hydrated lime, calcium carbonate and oxide) and so far none of these have been successful (the colour is coming off even after 4 -5 days of drying). 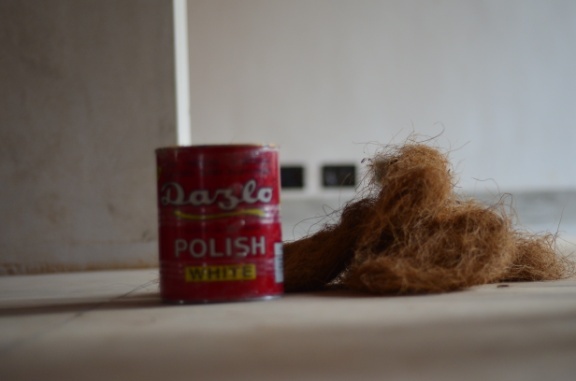 We have had success with 1:3:1 oxide:cement:calcium carbonate powder (although the finishing is not perfect) but we wanted to know if you have ever tried out a lime flooring? Dear Nisha – no we have not but are waiting for an opportunity to do so. We recommend you write to Hunnarshala Foundation in Bhuj if you want to know about Lime floors and walls. 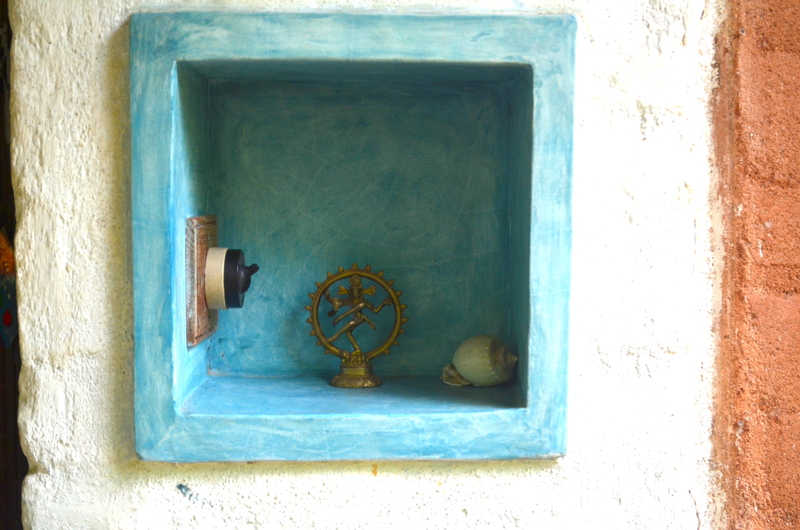 Dustudio, Auroville have also experimented with it. Maybe you will get more information from them. Thanks for the comment ! Hello ! – Apologies for the delay in responding to your query. The regular grey if done by local masons costs about Rs 850 per square meters but since there are very few people who can do this very well, the logistics and experimentation adds a bit to the cost. A good one can cost anywhere between Rs 1100 – 1200 per square meters. I found an intriguing question from myself and many others on what exactly is the “Baby jelly” additive used in making the decorative tiles? thanks madam for the detailing .. Interested to have flooring for our new office. Kindly send me the details on my email address.